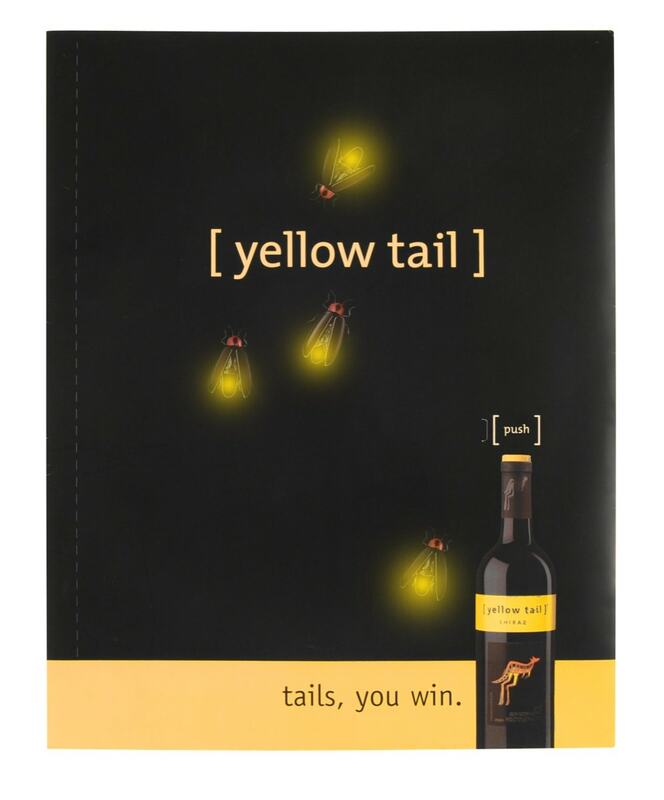 Yellow Tail Wine of Australia partnered with Americhip to extend its “Tails, you win,” campaign. Four LEDs flicker to emulate the effect of glowing fireflies. 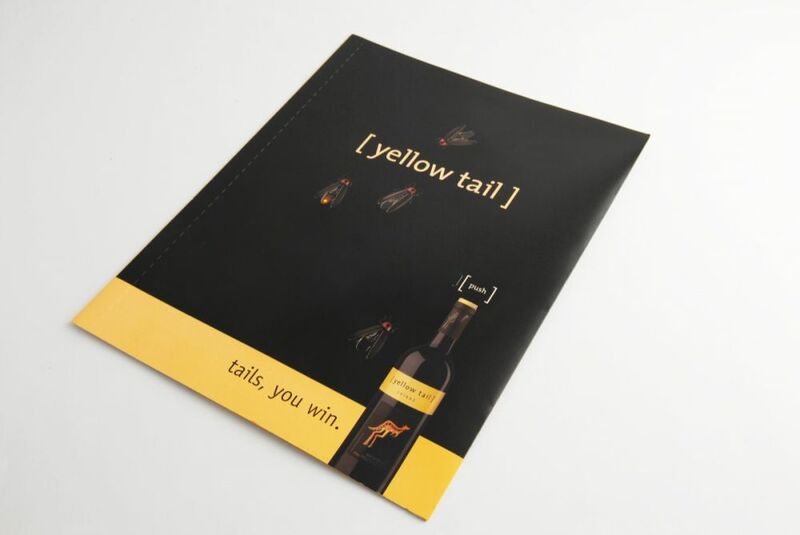 Americhip helped Yellow Tail Wine extend its integrated "Tails, You Win" marketing campaign by creating ads with surprising elements. 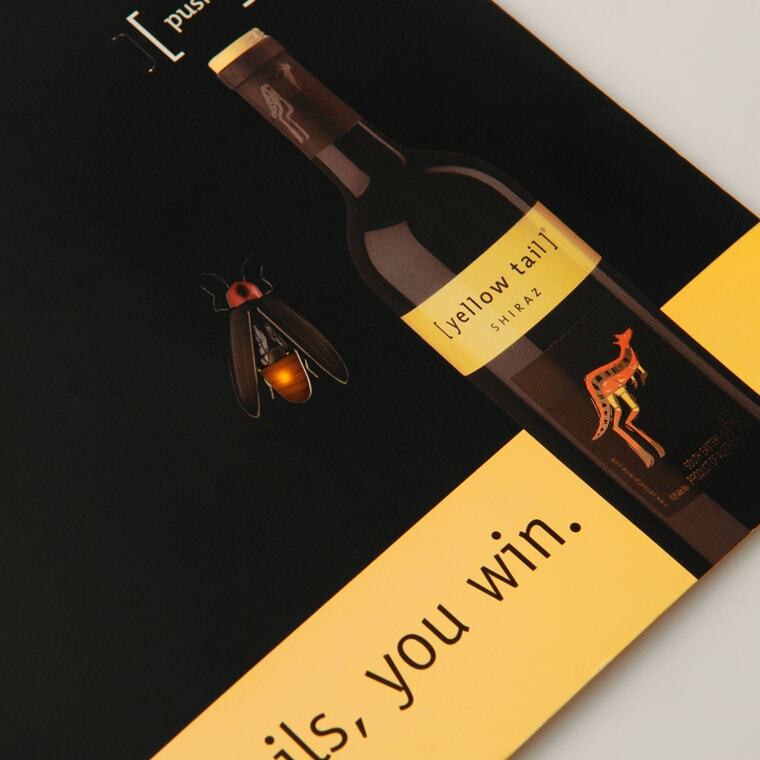 This magazine insert incorporates four LEDs that blink in a seemingly random sequence to emulate the effect of glowing fireflies. 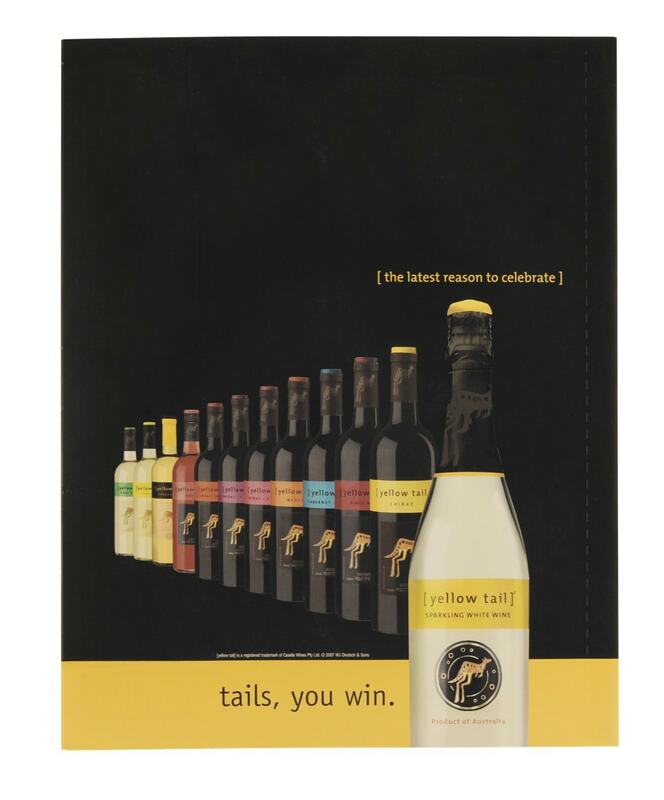 Yellow Tail was counting on Americhip to maintain the highest standards from the design stage through to the production process. 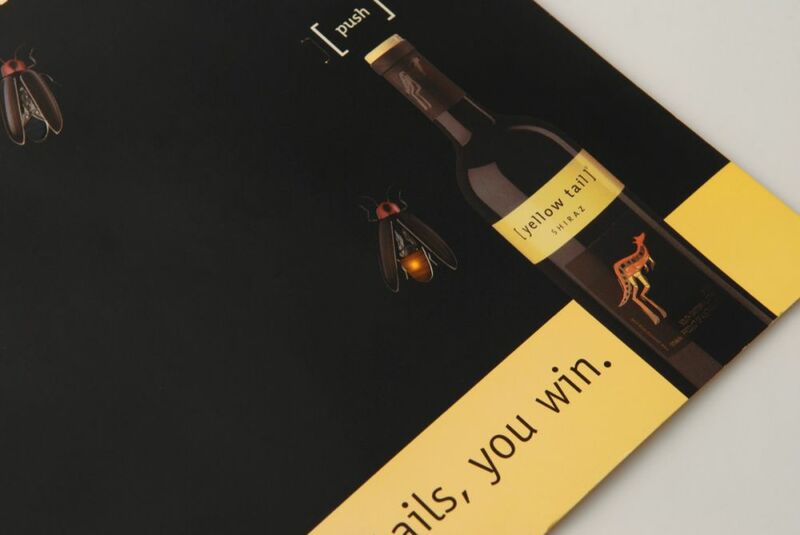 In other words, they wanted to know that from Los Angeles to New York, when people open their magazines four fireflies are going to flash. And that's what this light technology delivered.